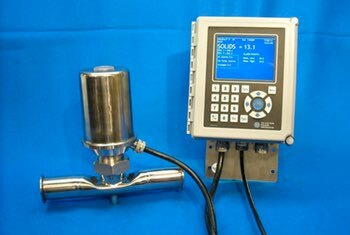 The MPR E-Scan accurately measures dissolved milk solids very well. Usually installed with one of our sanitary adapters that are designed and manufactured to appropriate 3-A Sanitary Standards. If coatings are an issue, a steam port can also be added to the adapter to allow the prism to be steam cleaned at specific intervals.